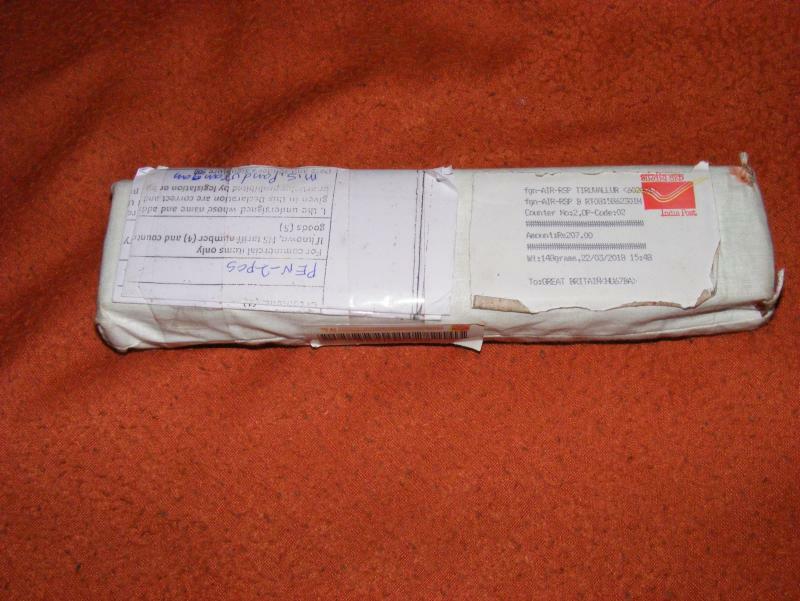 For those who have not yet bought a Ranga pen Mr Pandurangan goes to lengths to ensure the safety of your shipment. The pen is in a good strong presentation box. Mine was wrapped in pages of The Times of India & then tightly stitched into a cloth bag. 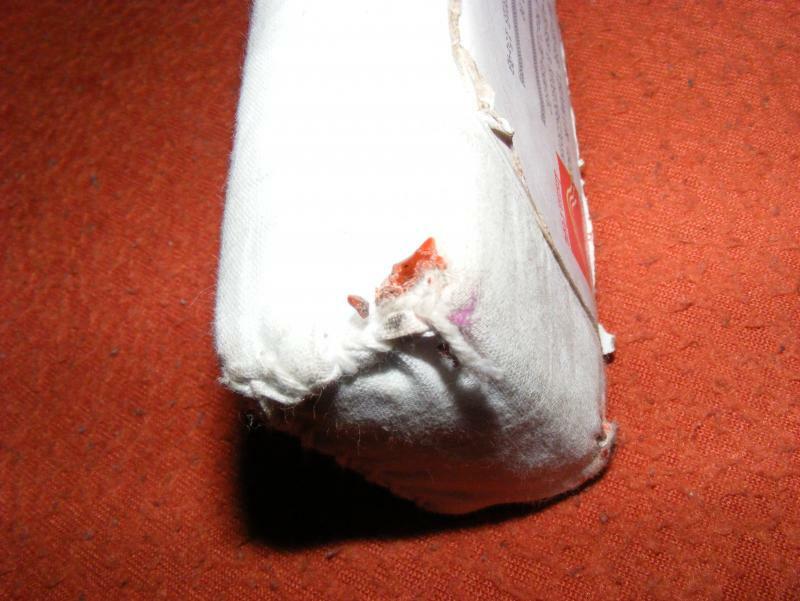 Even the ends of the stitches had sealing compound on them so that the tiniest attempt to open the package is immediately obvious. some very nice examples in these last posts, I like the black bakul and the black polished. The blue black ripple is also very nice (I have a 4C in this colour). My 3C arrived few days ago, but I only had time over Easter (btw happy Easter! also for the upcoming orthodox next week...) to take some photos. I also asked for a modified section, with hourglass shape, and no clip. many thanks as usual to Ranga Pens and Vaibhav for assisting with the group buy! This colour is awesome. I love it. Just wanted to throw an update out there. I finally got around to cleaning out the pen and needed to take some time to determine which ink to put in it first. I pondered just running Iroshizuku Take-sumi as the first, but...no...black is too bland for this right now. I look through all my colors...and blue being my favorite, I had a couple to choose from, but then I remembered that I already had 2 other pens inked up with blue....didn't want to go into blue overload. So I thought Orange or Green, and decided on the Noodler's Habanero. After inking and initial writing, the pen would hard start quite often and had some skipping issues, then would run extremely dry. I did notice that the feed and nib were misaligned. I corrected that and it started writing better, but still a little dry for my taste, so I opened up the tines on the 1.1mm nib. It is now flowing fine, but is still a little narrower a line than I had hoped. I'm comparing it to the TWSBI 580 Diamond with 1.1mm and the Goulet 1.1mm nib I have used in the past. It's line is much more like the 1.1mm stub in my TWSBI Eco. No matter, though, it is still a great pen that writes superbly now with a few little tweaks out of the box. I have not had a chance to get into the clear and black 5A. Quick question, are the eye droppers from Ranga ready to go when they arrive or do I need to apply silicone grease to the threads? I don't currently have any silicone grease as this is my first eyedropper, but can get some locally. I guess I could test it with just water and see if it leaks any, thought I'd ask the great group here first before making a potential mess. While I have silicone, my pen came pre-lubed; it didn't need any additional lube. I think Ranga puts some on there. I only add silicone if I notice ink outside the section/barrel seam. 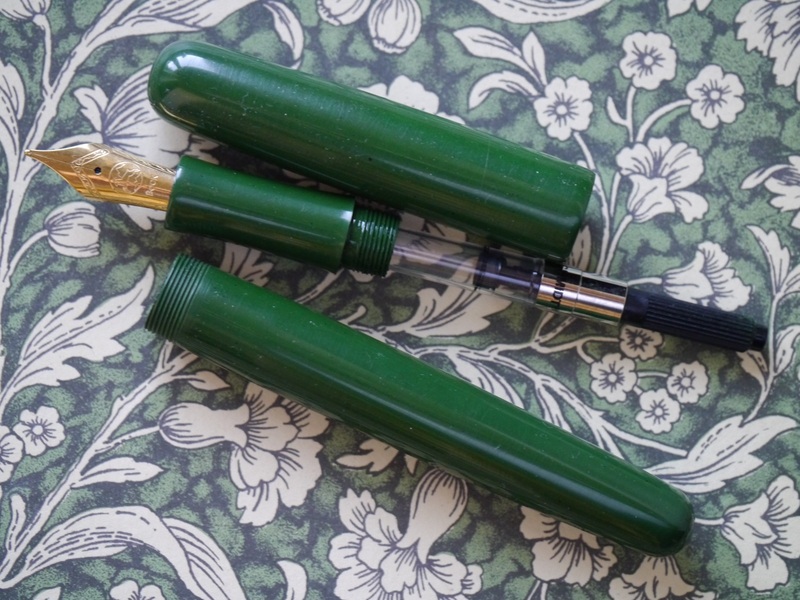 All Ranga pens come already siliconed, even when they are CC, which means if you take out the converter, and fill the barrel with ink you are ready to go as an eyedropper. Being ebonite and being there no metal parts, ED is a natural way to go. 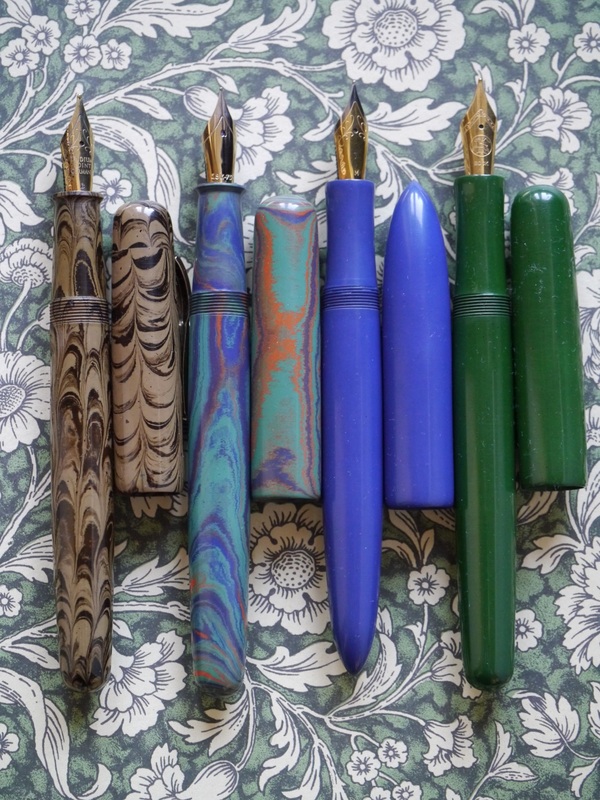 I usually give the Ranga pens a good wash though because often the working phase on the lathe leaves debris that may affect flow (and in any case I like my pens to be clean...). 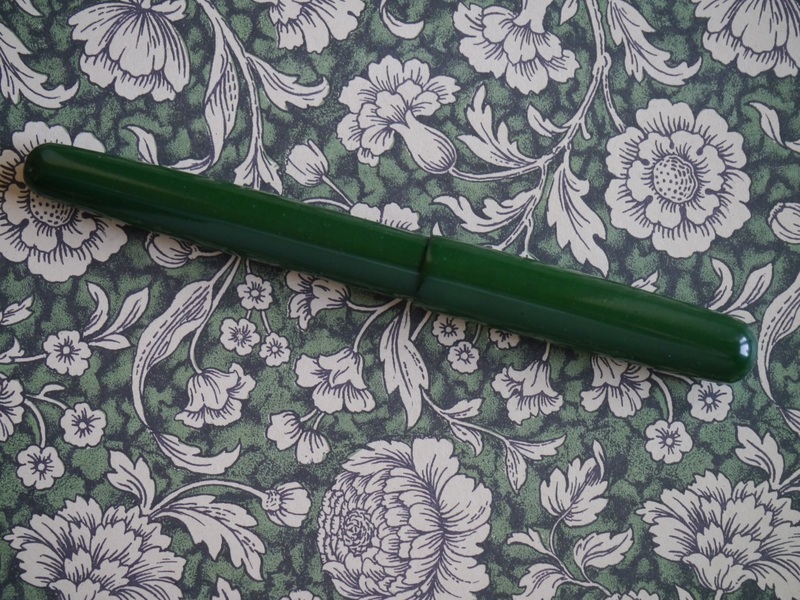 Initially I was a bit afraid of ED use, I had some bad burping experiences on other (cheap Indian) ED pens. But after trying I really cannot report any burping on Ranga pens, and I am starting to like more and more the possibility of having an ebonite feed in my pens, ink flow improves IMO. 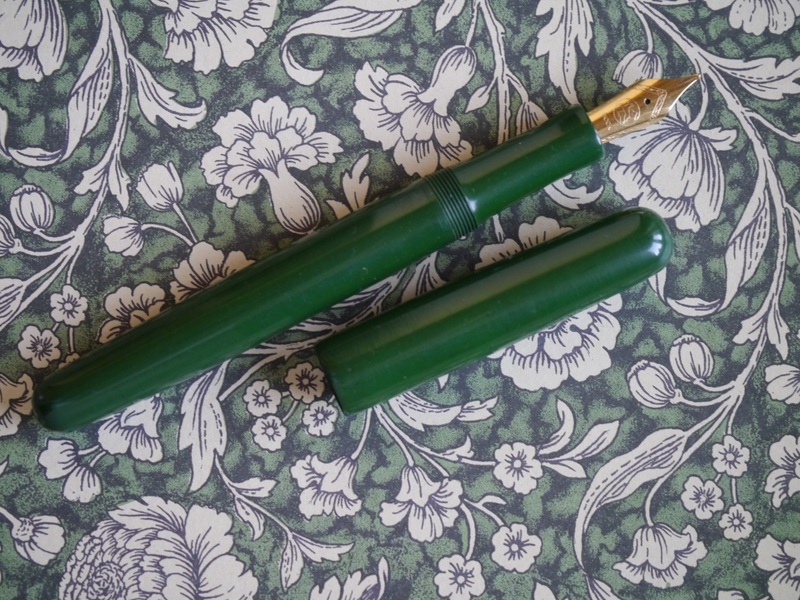 the pen in this GB was only CC, but being the 3C a preferred size/shape from Ranga I could not resist to order this nice forest green, and I am really happy with the result. On new Ranga orders I am going with ED to try more ebonite feed pens. 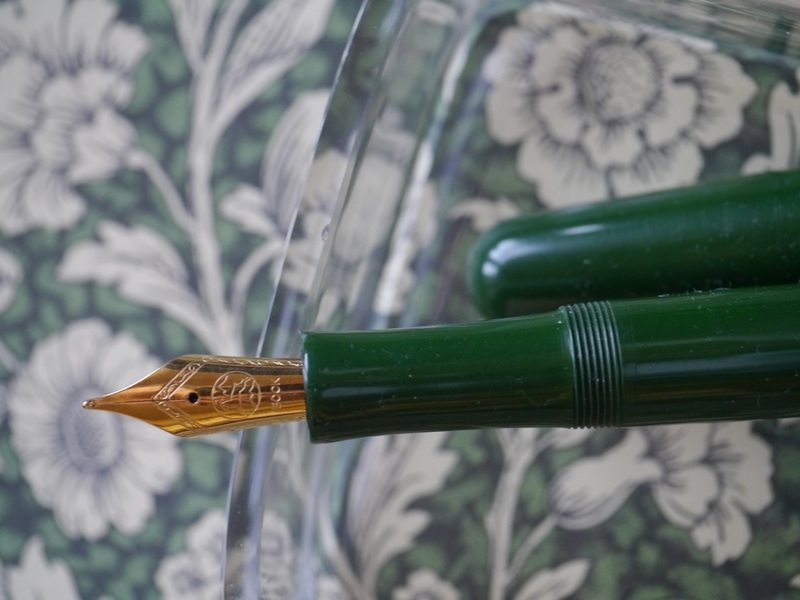 I have a model 8 ED ebonite feed filled with Pelikan Tanzanite since at least two months. The ink has not run out yet (I do alternate with other pens though) and every time I pick it up it just writes on first stroke! I have similar experience only with Pelikans... and Aurora 88. Edited by sansenri, 06 April 2018 - 20:39. Great, thanks for the info. I think today is the day I put on my big boy pants and ink up that pen and give it a spin!! Please post your experience with it somewhere, I'm really curious about that "monster". All very lovely pens you have there, sansenri. I received my 4C in a similar color & material as yours (polished forest green ebonite) last week but I have yet to ink it up. Save for the odd black specks, the material and color is lovely indeed. Just one question though, and not about Ranga pens in particular. 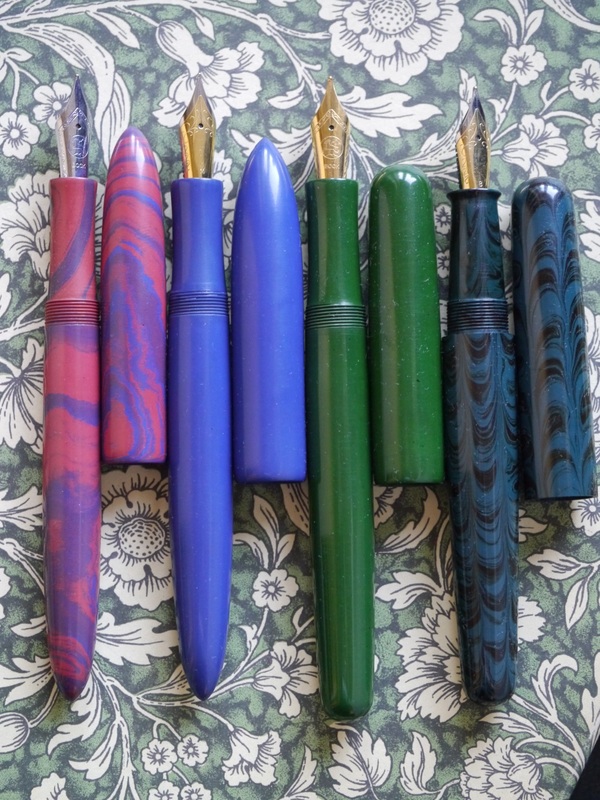 I have a couple of other Indian ebonite eyedroppers from Gama. While they're good writers, I seem to have a persistent problem with them...that is, after some time, ink leaks through the section-barrel threads. It does not happen immediately after inking it up, but rather it happens quite a long time afterwards, maybe days or even a week. I always make it a point to slather the section-barrel threads with pure silicone grease (paste type, not runny fluid type) before inking, and it makes me wonder why this leakage still happens. On one of the pens, I even put a rubber O-ring on the threads for extra security, but after some time it still leaks. So as I take out the pen prior to writing, I always am surprised to see ink on my fingers after I uncap it. However, I'm not sure if the pen is also leaking through the section where the nib is attached..because the amount of ink that gets on my fingers is quite copious and an amount that I'd not expect to come from just the section-barrel threads only. Has anyone had a similar experience? Any help would be appreciated, thanks! You will not experience this problem with any of the Ranga Pens . We are ensuring it is leak proof in the manufacturing stage itself. The amount of silicone grease should not be very large. I think otherwise you may be creating your leak. 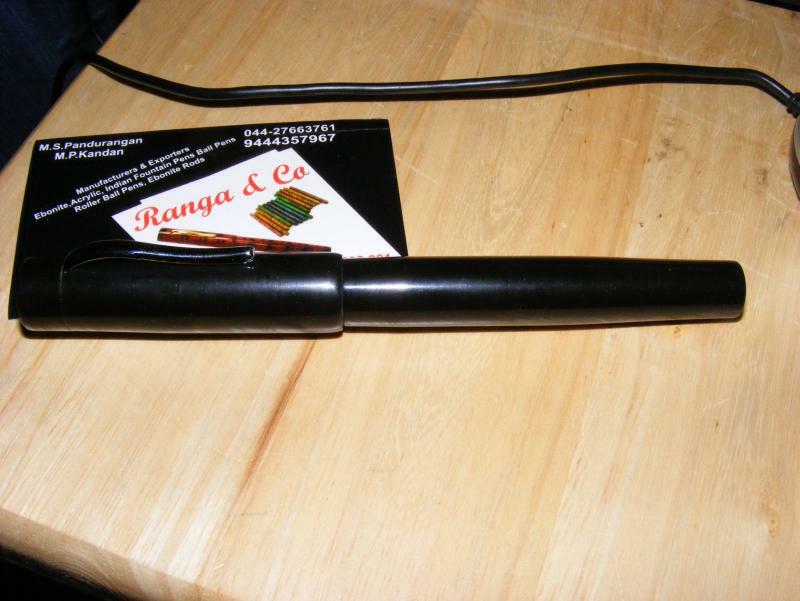 If you got the pen from Ranga, it comes pre-greased. So you may have too much of that good thing on the threads: maybe clean it all off, put just a little dab on the threads and make sure it's evenly distributed, and the problem should decrease. 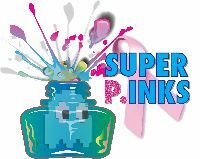 But you do realize that, once the ink level is reduced, you may have some leakage again, because of the heating up of the air inside the barrel. However this is usually manifested as formation of ink drops at the tip of the nib, as the heated air expands and pushes out ink inside the feed, or between the feed and the nib. The remedy for that is to refill with ink. Interesting, I've never thought of it that way. So, too much silicone grease will actually make it more prone to leaking? I'll experiment on this and see how it goes. Thanks! Got mine today. The mustard yellow that I ordered is green. Still looks good though. Unfortunately the cap threads on very tight and often skips threads. I've seen Ranga with great and poor threads. I happened to get poor on this round. Thanks. I see that you have ordered Mustard yellow Ripple pen , Black Cap , 3/4 inches shorter pen. We have sent the correct pen . The slightly tight threads are secured.